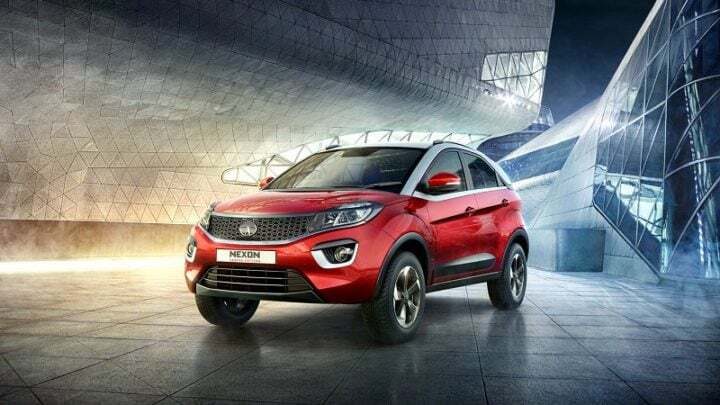 The Tata Nexon launch has finally taken place. 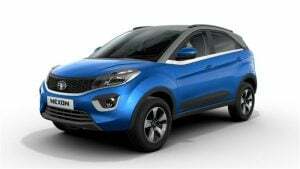 However, Tata will have to contend with Maruti Suzuki in the compact SUV space with the Nexon. That’s right! The Vitara Brezza will be one of Nexon’s chief rivals. Hence, a comparison between the two is inevitable. So, we thought why not compare the two cars and see how they fare against each other. Here’s our Tata Nexon vs Maruti Vitara Brezza comparison for you to see how the two cars compare against each other. The Nexon’s pricing undercuts that of the Brezza by quite a decent margin. However, let’s not forget that the Brezza is available only with a Diesel engien and hence, comparing the least priced Nexon with the least priced Brezza isn’t a smart idea. If you compare the base diesel Nexon with the base Brezza, the former enjoys a price advantage of roughly Rs 50,000. The Nexon comes with both petrol and diesel engines. 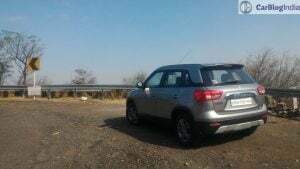 However, the Vitara Brezza is available with a diesel engine only. Hence, we can only compare the diesel engines of both cars. The Nexon gets a 1.5-litre turbocharged RevoTorq diesel engine with peak power and torque outputs of 108 BHP and 260 Nm, respectively. 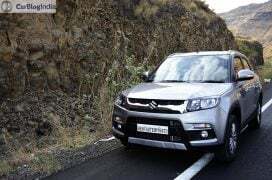 In comparison, the Vitara Brezza’s engine makes only 89 BHP of peak power and 200 Nm of peak torque. 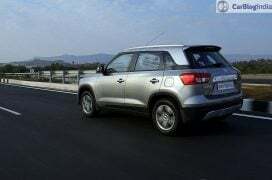 The Vitara Brezza’s fuel economy of 24.3 KMPL is much higher than the Nexon’s mileage of 21.5 KMPL. However, a thing to note here is that the new Tata model offers a much more powerful engine. Both cars offer almost the same wheelbase measurement. After all, both cars’ length are same. While the Tata Nexon offers 21mm more elbow room, the Vitara Brezza offers 33mm more headroom. So, both cars compare against each other rather closely. In terms of features list, both the cars are pretty closely matched. However, the Tata compact SUV offers a better audio setup and multiple driving modes. Also, bits like cooled glovebox make the deal even sweeter. 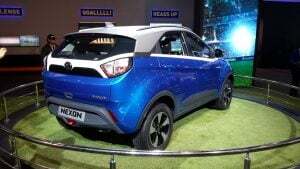 The Tata Nexon first wooed the audience at the 2016 Auto Expo where it debuted as a concept.The best part about the production model is that it looks almost exactly like the desing study from the last Expo. Each bit comes together quite nicely, be it the grille merging into the headlamps. The bulging wheel arches do give it a muscular character which feels adequate. The rear end looks neat and there is a chrome strip running across the width of the car. All-in-all, a nicely executed design is what the Nexon carries. The Vitara Brezza feels more SUV-esque than sedan-like. The front end looks quite brawny with narrow headlamps and grille but a big air inlet in the centre of the bumper. It looks as if it will eat up the road. The wheel arches are more square-like to give it the stance of a classic SUV. The rear end has a big chrome strip above the number plate housing. The wraparound taillamps look quite good and the rear windscreen is quite upright. Its design drives home the point that this is an SUV you are looking at. The Nexon’s interior looks as good as the exterior. The dual-tone black-grey treatment given to the dashboard makes it looks quite nice. The brushed aluminium insert running the width of the dashboard makes it look plush. The same treatment extend to the door panels making the interior look quite nice, as a result. The centre console is devoid of any screens, barring the floating infotainment unit. However, expect the car’s dashboard to see some changes when the car is launched in India. The Vitara Brezza has a purpose interior design. Its dashboard features two gloveboxes. Barring the brushed aluminium and chrome inserts, the car’s interior feels quite nice. The centre console has the SmartPlay infotainment system as its highlight. Below it are HVAC controls with a digital readout. With iCreate customisation program, you can further personalise this space. In general, if you want the feel of an SUV interior with plushness of a car, the Vitara Brezza’s interior does quite a good job at imitating the two. Price – The Nexon holds a clear advantage here. 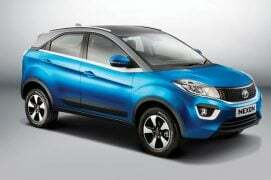 Specifications – The Nexon comes with a bigger engine than Vitara Brezza’s. 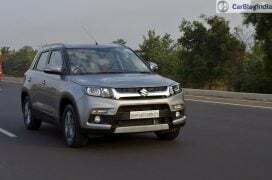 Hence, it in terms of power and torque outputs, it has an edge over the Maruti Suzuki car. Mileage – The Nexon’s bigger engine leads to a lowe mileage. Dimensions – The Nexon is wider than the Vitara Brezza while the Maruti car has more headroom than the Tata car. In the end, it is a toss-up between the two cars for you. 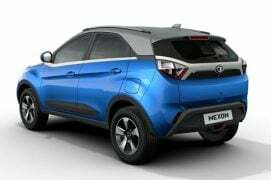 Design – If you are looking for SUV with more sedan-like design, the Nexon is what you will like. The Vitara Brezza is for those looking for a car that looks like a proper SUV. 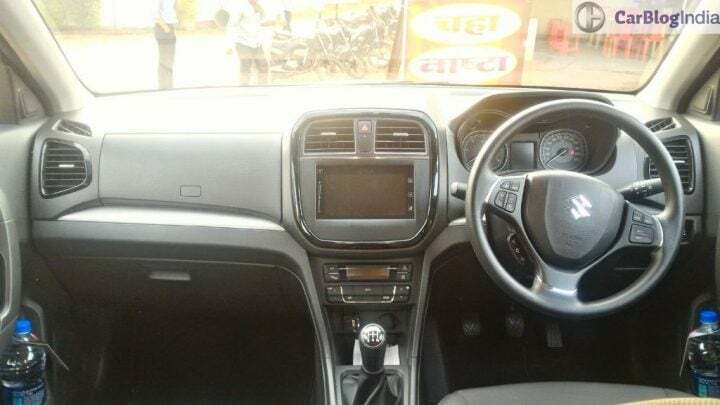 Inside too, while the Nexon feels more sedan-like, the Vitara Brezza has a purposeful design and layout. So, do you like our Tata Nexon vs Maruti Vitara Brezza comparison? Do let us know how you feel in the comments below. For more such stories, stay tuned to Car Blog India.